The potential implications of Bexit on the transport industry in general and on the border between the north and south of Ireland in particular continue to hog the headlines, and not without just reason. 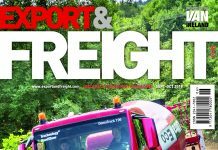 words of the FTA’s Chief Executive David Wells with whom we have an indepth interview in this issue of Export & Freight. 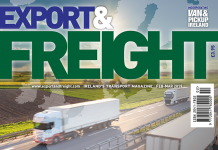 The Freight Transport Association of Ireland has also expressed concern that the lack of certainty over the Irish border risks the country’s trading relationships, both at home, with the UK and the rest of the EU. We can only wait to see what eventually transpires. In the meantime, it’s business as usual in our industry, and there are still plenty of positive stories that we can bring you, as you will read in the following pages, including news that McBurney Transport Group has boosted its haulage fleet with the addition of 25 new Volvo trucks from Dennison Commercials Ltd, while Hireco has recently placed its largest fleet order to date. 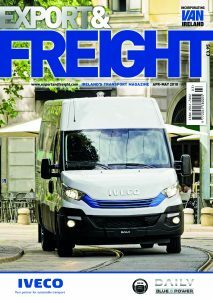 Among the companies in focus in this edition is a new kid on the block, Allied Fleet Services, offering a rather unique service. 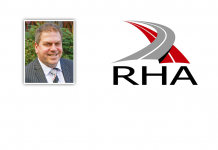 As you will read, its aim is become the premium buying group for small to medium sized hauliers in the UK and Ireland. 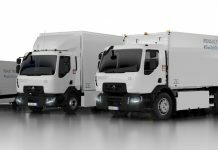 Meanwhile, our test drivers have been behind the wheel of Iveco’s latest Daily Euro 6 and VW’s latest generation Crafter, as well as putting DAF’s lightweight road-friendly CF410 FAD and more heavy-duty CF450 Construction through their paces. We also report on the arrival of Mercedes-Benz X Class in Northern Ireland. 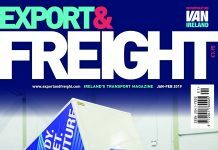 download the Apr-May 2018 issue of Export and Freight Magazine.